CHAPS is preserving and restoring the first home that was built to be used as a hospital in Cochrane. Built in 1909 by Thomas Davies for his family, the resident doctor at the time, Dr. Park, asked that part of the house be used as a nursing home. Mrs. Davies, along with her daughter Annie Beynon, a nurse, operated the home until around 1915. As of January 1, 2012, CHAPS gained ownership of this building. 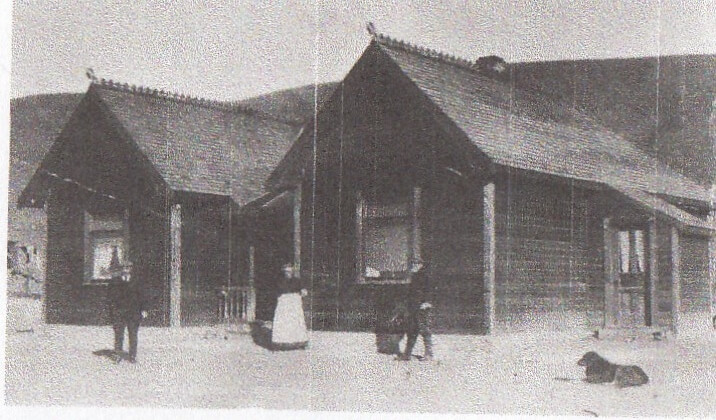 The building has been relocated to the Cochrane Ranche Provincial Park. 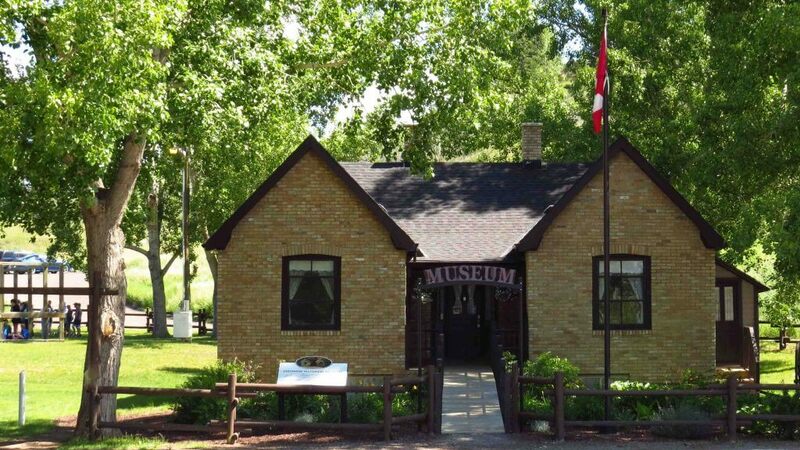 It is set on a permanent sight, and is now the Cochrane Historical Museum. We opened May 31, 2015. The CHM will be open during the summer seasons only. We are looking for ways to recognize these milestones. Any ideas? On June 17, 2008, plaques were placed in front of 8 historic buildings in the town. 7 of the plaques include an historic photo of the building as well as a history of the building and the people involved in the building. The 8th plaque contains the design for a centennial pin for King Solomon Masonic Lodge as well as a brief history. The following buildings have identifying plaques and 7 of the 8 are found on First Street. From west to east, there is the Chapman house, the *Howard Block , the * Rockyview Hotel, * Andison Block, *Andison’s store and St. Andrew’s United Church. The 8th building is the Masonic Lodge and is located on Centre Avenue. *indicates that the plaques are across the street from these buildings. We’re planning 5 new plaques Summer 2019 for the Range Grill, Meat Market, Murray Hardware, Shoemaker Shop and the Camden/Woods home. If you have photos, we’d love to include them on the signs. CHAPS has a goal to educate about the history of Cochrane and area. 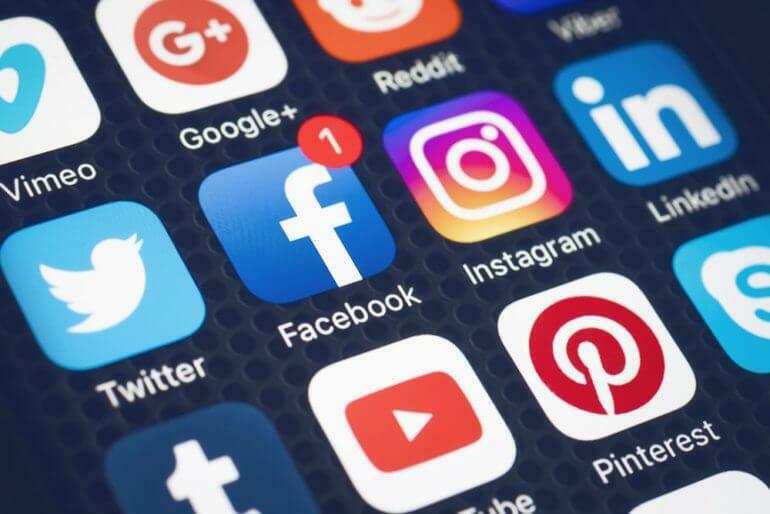 In order to do that we have to develop other means of communicating. Create a YouTube channel to house 100 Stories for 100 Years and History Videos by Jade Lewis. 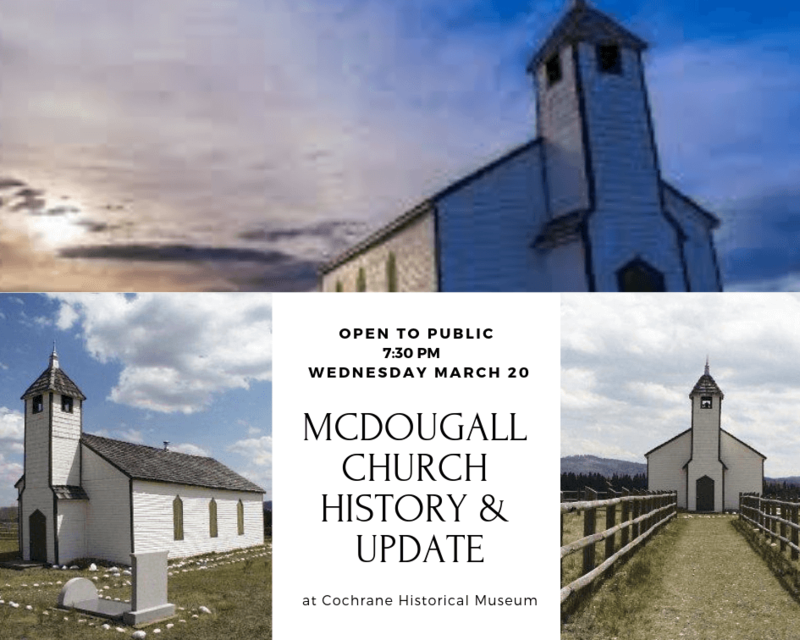 A History of the McDougall church and a status update on the restoration. Responding to requests to attend meetings with our History Presentation. 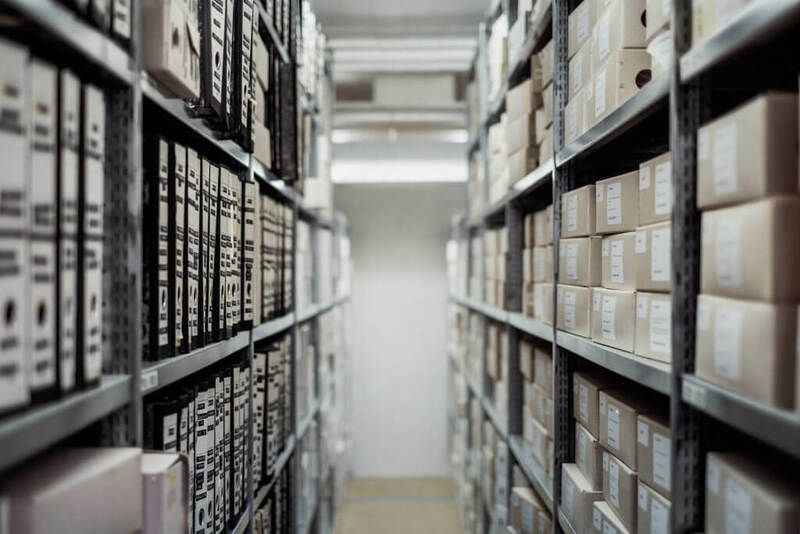 Doris James and Lynda Alderman have taken on the enormous and important task of archiving and recording our collection. The database is used for planning exhibits, insurance and research purposes. CHAPS in conjunction with local business men, Gerry Oatway and Garney Baker, are looking into building a replica of the Shot Tower which stood in the Quarry area approximately where Original Joe’s is now. This structure was one of the first things you saw when enter town. 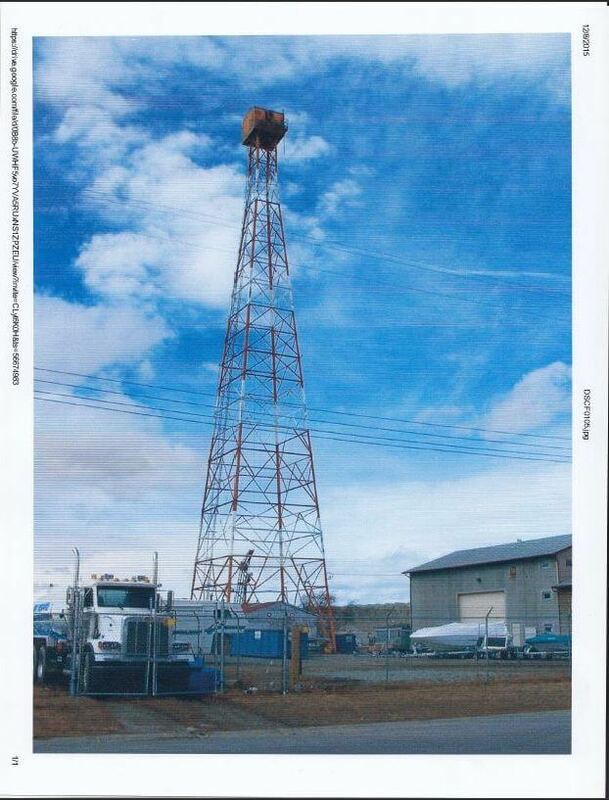 Ron Baker used an old oil rig and refitted it to make bird shot. We continue to negotiate for a suitable site for the reproduction. Lead bars were melted at the top of the tower, poured through a sieve and dropped to the base to be cooled in a vat of water. During its peak, Rona B used 3 to 4 tons of lead daily. The Tower stood 181 feet top to bottom. The finished lead shot was used in Olympic shotgun shells and by Western Canadian shooters who made their own shells. Rona B Lead Shot was started by 1959 by Ron Baker and his father C.W. Baker. We believe the tower was completed 1961-2 and was torn down in 2006. We have a YouTube video on our Channel where Ron explains the Tower’s construction. With the permission of the Town of Cochrane and the Alberta Government, we have built a cairn commemorating 5 enterprises that operated on or near the Ranche site after the British American Ranch was sold. The plaques commemorate the following: “Collins Brickyard”, Beynon-Davies Dairy Farm”, “Cochrane Creamery”, “Duncan Shelley Stone Quarry” and “Gilbert Ranches”. The unveiling took place May 11th, 2013. Learn about the families and events that formed the area. 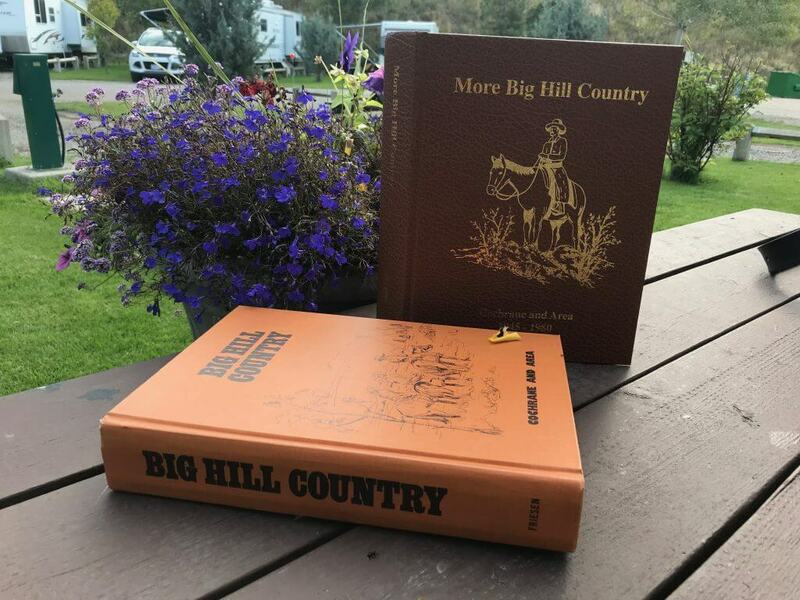 Big Hill Country was printed in 1977 by Cochrane and Area Heritage Association. 1945 – 1980 Learn about the families and events that formed the area after W.W II. 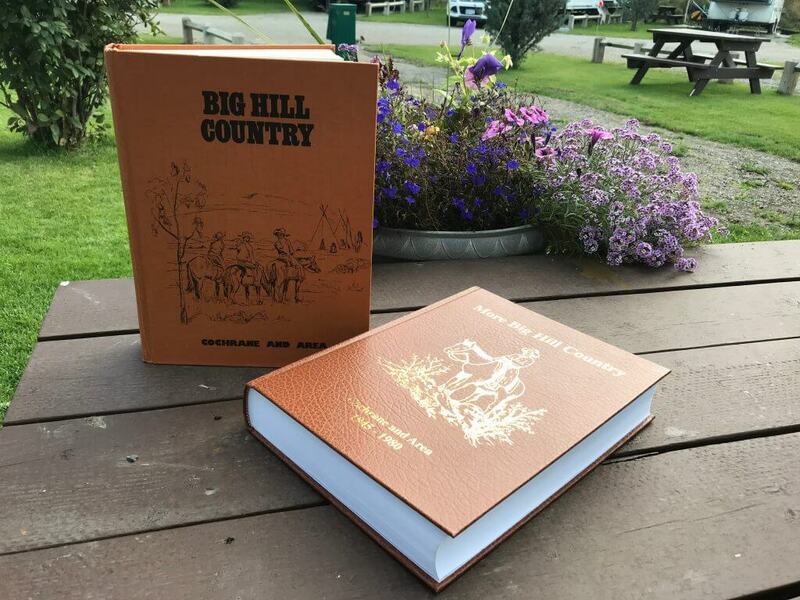 More Big Hill Country – a history book that is a beautiful gold embossed hard cover book with over 800 pages of memoirs, historical facts, letters and photos – $40.00. Visit the following locations in Cochrane Stockmen’s Memorial Library – RancheHouse, call CHAPS – Bernice – 403-932-6507 or submit your request by pressing the purchase button. All proceeds go to CHAPS toward preserving historical buildings. A committee was formed in 2005 of CHAPS members to collect, compile and publish family histories, business histories and local histories of Cochrane and the surrounding area. After four years from the time the first story was received the book, More Big Hill Country, was published. The launch of this book was December 19, 2009. This is a companion book to the 1977 Big Hill Country book. Two members of the book committee were also part of the first book committee. Margaret Buckley became the Editor of the new book and Ellen Buckler collected stories as well as proof read stories. The idea for the book came from Marilyn Whittle, who also co-chaired the committee with help from Bernice Klotz. The typing of every story was done by Lynda Alderman. Then Gayle Want took on the task of taking care of the finances. There was a dedicated group of people helping with the book. Among the group was Dorothy Anderson, Bev Genung, Shannon Want, Shirley Thomas, Betty Trosch, Jean MacKenzie, Arlene Hepburn, Elizabeth Stone, Angus MacKenzie, David Beattie, Gordon Davies, Ken Thompson, David Whittle, plus many others including writers of individual stories. The book was made ready for publishing by David Callaway.